According to the survey’s results stated in the Reflection paper, 78% of the respondents are happy with life in the EU and 61% of them see the EU as a place of stability in a troubled world. Yet, the EU possesses a waiting list of many issues to be solved, however only resolute and united action can lead to those outcomes that can transform EU to the global sustainability leader. The EU has been one of the leaders and the most active supporter of the 2030 Agenda for Sustainable Development and EU Member States are among the SDGs top performers and seven EU-27 Member States (Denmark, Finland, Germany, France, Norway, Slovenia and Austria) are among the top 10 in Global SDG Index ranking. Even though, the EU is more than determined to transform its economy and society in order to meet the requirements and create a better quality of life not only for today’s generations but also for the future ones and some progress has been made, there are many pending problems in the area of economy, society and environment. The need for structural reforms that would foster economic resilience and cohesion must be met and increased growth rates and reduced debt rates must be achieved for the EU to have a robust and stable economy. Also, inequalities and a wide gap among the certain regions within Europe are still present and if not addressed can jeopardize social cohesion and destabilize social and political arena in and between the Member States. These inequalities are also proven by the fact that the proportion of middle wage workers is shrinking across the EU and the growing gap between the middle class and upper class is still there and women being the ones to be most affected by income inequality. Demographic landscape signals that the EU will face the issue of dramatic consequences of aging population in near future and the current ratio of 3.5 workers/1 pensioner will change into 2 workers/1 pensioner by 2070. When it comes to the environmental issues, even though the EU has created some of the highest environmental standards and ambitious climate policies, “the EU fossil fuels continue to benefit from public subsidies of around EUR 55 billion per year”. Also, biodiversity and ecosystems are largely endangered given the fact that only 23% of species and 16% of habitats are in good health. All the issues the EU needs to address are interconnected and complex and thus, cannot be resolved by handling them in an isolated manner. 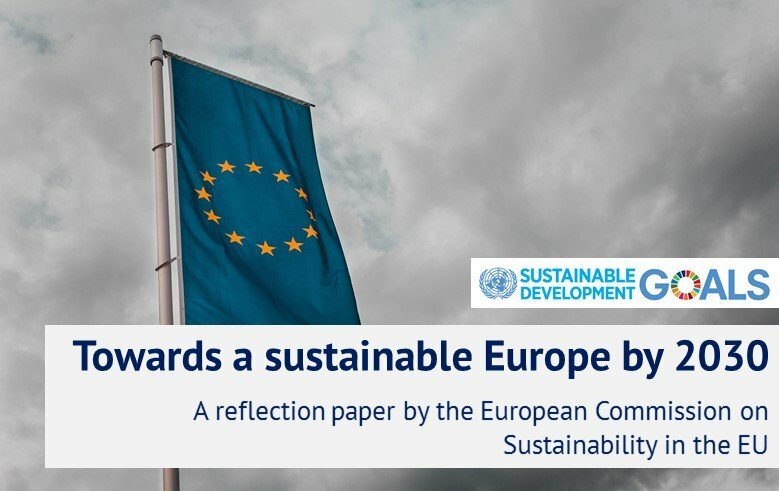 The EU’s resolution to make transition to a low-carbon, climate neutral and biodiverse economy is aligned with the UN 2030 Agenda and 17 Sustainable Development Goals that represent the map for developing strategic policies for the next budget period 2019-2024 as well as the 2021-2027 Multiannual Financial Framework (MFF). The policy areas that will be in focus when it comes to improvements needed and reforms being adopted and implemented are circular economy, agriculture, energy, and society. Policy coherence at all levels is an indispensable pre-condition for the achievement of long-term green and inclusive growth. Beyond the policy level, other factors will largely be responsible for the success of the movement towards sustainable future and will determine the outcome and results of the transition. Education, research, innovation, technology and digitisation present the one of the prerequisites for the successful transition and enable sustainable competitiveness and growth. Also, the shift in the financial system, pricing, taxation and competition will create more fertile ground for the achievement of the SDG Agenda. The Investment Plan for Europe that was launched in 2015 plans to mobilise private capital for the public good. Moreover, the changes in fiscal systems will be necessary so the Member States will reduce taxes on labour and increase the ones on capital, pollution and environmental externalities. The role of sustainability reporting and responsible business conduct will be emphasised so companies and organizations would have more sustainable profits and growth and create long-term value for both shareholders and stakeholders. In order to tackle all these issues, the EU will need to mobilise all stakeholders to take part in creating a fairer, more egalitarian society of the present and in protecting environment so to provide future generations with less problems and equal opportunity to enjoy the same quality of life. There is no doubt that the robust and successful transition to sustainable future would make the EU stand out and become the leader that will mobilize its global partners to pursue the same goal and aid them to achieve it. However, how successful the EU will be, depends on internal as well as external developments and the EU’s MSs solidarity and responsibility to first help each other and then as the region to help the world to move to sustainable and prosperous future. The current circumstances do not seem to provide optimistic outlook and the enhanced commitment from both the EU and other global actors will be needed for the world to create more prosperous present and sustainable future.